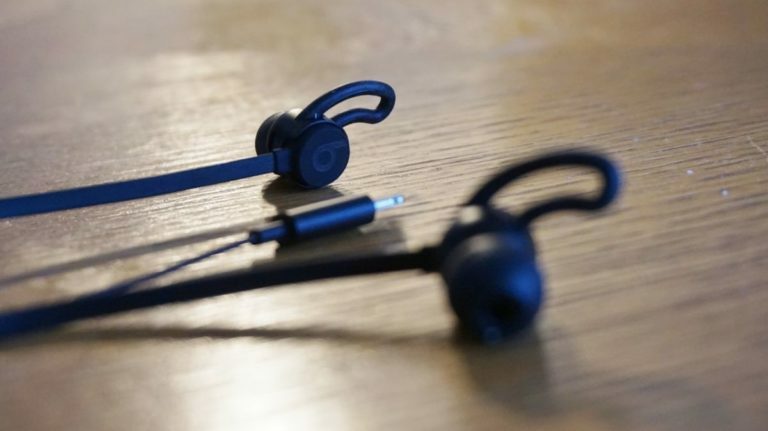 The urBeats3 is a substantial step-up from the pack-in Apple EarPods with Lightning Connector – they’re well-designed from an aesthetic perspective and sound decent. However, they’re not pitch-perfect when it comes to playback, especially in the highs and mids, and at their $99/£89/AU$129 price point cost too much for what they offer. Removing the 3.5mm jack from the iPhone was one of the most divisive decisions Apple has ever made. 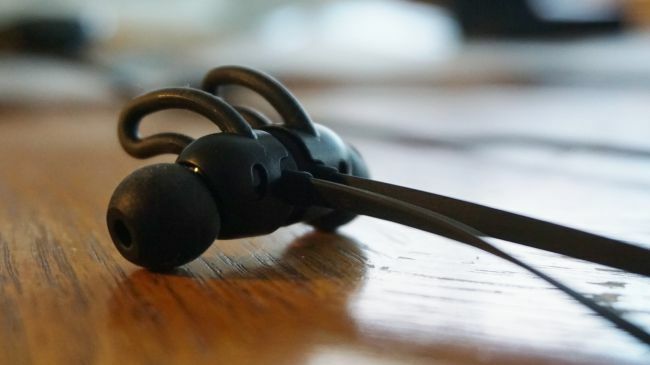 While some appreciated the features it would enable – like noise-cancellation without a battery and removing the reliance of the on-board DAC – others saw it as a cash-grab from a company interested in licensing out its proprietary tech. Beats is a brand that has built itself on design quality – and that ideology comes through loud and clear with the urBeats3. The headphones are pretty stylish, all things considered. The in-line remote is plastic but functional – it allows you to raise/lower the volume or change the song without pulling your phone out of your pocket. Each urBeats3 comes with a variety of eartip options – three sizes of tips and two pairs of secure-fit wingtips. The multitude of eartips help you find a decent fit, and the secure wing-tips seal the deal both figuratively and literally as a perfect fit provides a fair amount of passive noise-cancellation. It’s important here that we qualify ‘perfect fit’. 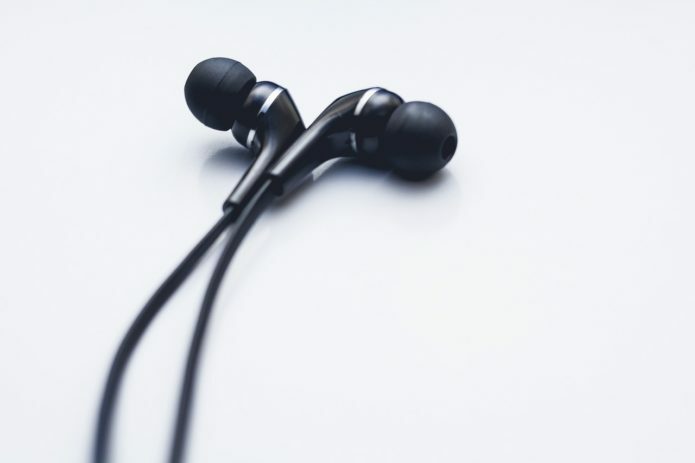 While the wingtips do help keep the headphones stay locked in your ear even during workout sessions – they’re not what we’d consider super comfortable. For short periods of time, they work, say for commutes of an hour or so. But wear them to bed and they quickly begin to overstay their welcome. Performance, as we should all know, is relative. A Subaru WRX is known as a relatively fast car – but that’s only in comparison to the typical sedans and SUVs we’re used to seeing during everyday driving. Pit that Subaru against something like a Camaro ZL1, though, and suddenly the Subaru doesn’t feel as swift as it once did. The car comparison is a metaphor. 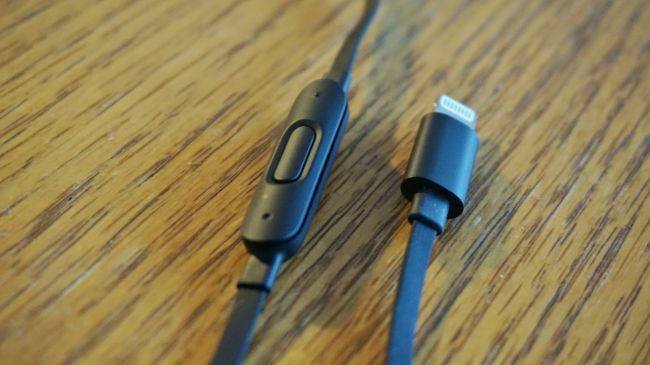 The Apple urBeats are like the Subaru, while something like the 1MORE Triple-Drivers are like the Camaro – in isolation, the urBeats is a decent pair of headphones, but when stacked against the competition, well, it loses pretty handily. The urBeats3 have an interesting sound curve to them. The bass is loud and controlled – perpetuating the stereotype that Beats are indeed a bass-lover’s best friend. The mids are a bit less clear, but still manageable, however the highs are sacrificed for low-end supremacy. In practice, this makes a good deal of genres incredibly fun to listen to. It’s hard not to tap along to the bass kick when listening to EDM and rap, and at points you can actually feel the drivers pushing on the ear canal … which may not sound like a good thing, but very much is. The problem is that the drivers don’t have much stereo separation – which can be unfortunate if you’re a lover of classic rock. Songs like Jimi Hendrix’s All Along the Watchtower or Baba O’Riley by The Who are missing their binaural sonic signatures. In terms of clarity, the headphones are somewhere in the middle, probably because the mids and highs are so subdued compared to the lows. You’ll still be able to catch what lyricists are saying – but intricate guitar riffs will begin to muddle together and lose their shimmer while wearing the urBeats3. Again, none of this is a deal-breaker on its own. Music does, for the most part, sound good – especially for a $100/£90/AU$130 pair of headphones. The problem is that these gripes are solved by other headphones at a similar price point – the 1MORE Triple Drivers, for example. 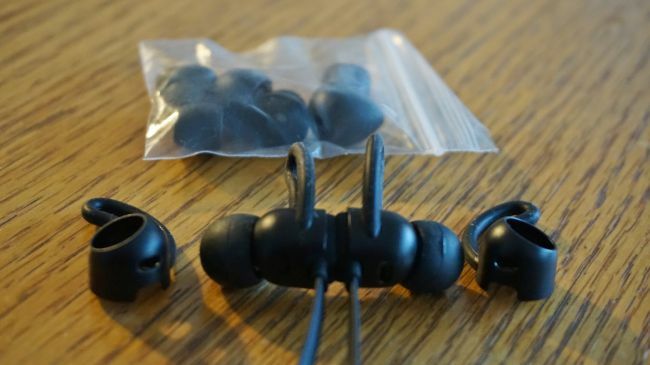 They’re not the headphones that we’d take with us to the gym – or even wear at home for more than 30 minutes at a time – but they might have some value to bass-loving iPhone owners looking for something a bit flashier, even if that flash comes at the cost of performance. Ultimately, they’re worth an audition, but probably won’t make it in our Rock ‘n’ Roll Hall of Fame anytime soon.